Qatar coach Felix Sanchez said Thursday that their first-ever Asian Cup final against Japan is the most important game in the country's football history. Qatar, who had never won in the knockout stages before, has been the dark horse of 2019 Asian Cup by winning all their six matches without conceding a goal, including smashing the host UAE 4-0 in the semifinals. "We came here with the hope that we could test ourselves against the very best in Asia, it is not a surprise to me that we are here," said Sanchez. "This is definitely the most important game in Qatar football history. Hopefully, we can have one more good performance. If we can win the trophy, it will be the biggest achievement in our history." The last barrier for Qatar to make the history is the four-time champion Japan, who is chasing a record-extending fifth title. "Japan is a strong team and have won the AFC Asian Cup many times. We know they have strength and a few weaknesses, so we have to be excellent throughout the game to get the result we want." Japan, who won each of their previous four Asian Cup finals, has been improving as the tournament progressed. As the traditional powerhouse, the Samurai Blue has get ready to finish Qater's fairy tale. 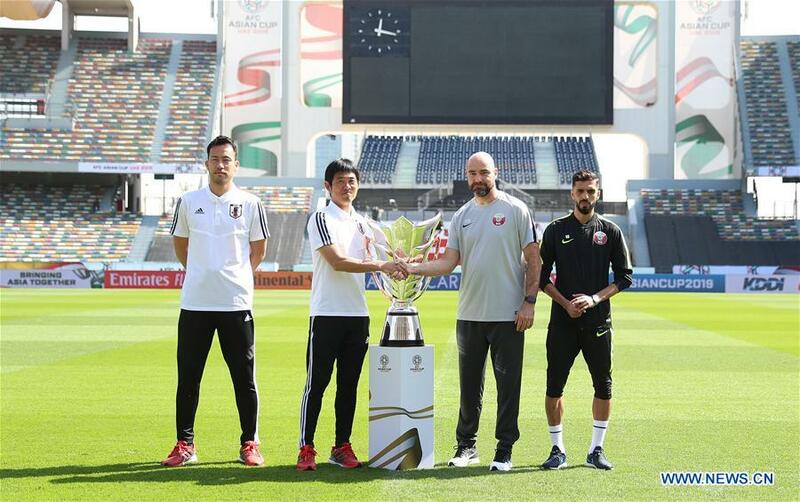 "Qatar are very strong, but no matter how they play we will stay the same, we will analyse them and show our best on the field," said Japan coach Hajime Moriyasu. "I want my players to be confident because we have been developing as a team throughout our way to the final. We have played against different types of opponents in the last six games. No matter how the game goes tomorrow, I want the players to be focused and to play as unit." Moriyasu has an opportunity to be the first man to win the Asian Cup both as a player and coach, if Japan can lift their fifth title. "I am not interested what it means to me," said Moriyasu, who won the trophy in 1992 as a player, "We would like to try to take the title back home and I just want to celebrate it with all the team."